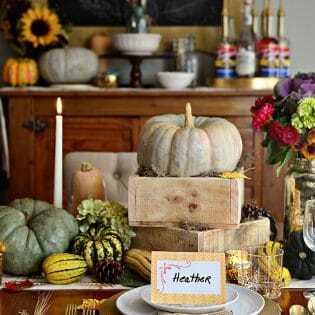 The holidays often involve entertaining, parties and overnight guests. 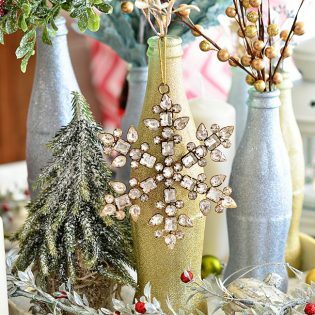 Follow these holiday tips to get your home ready for guests. 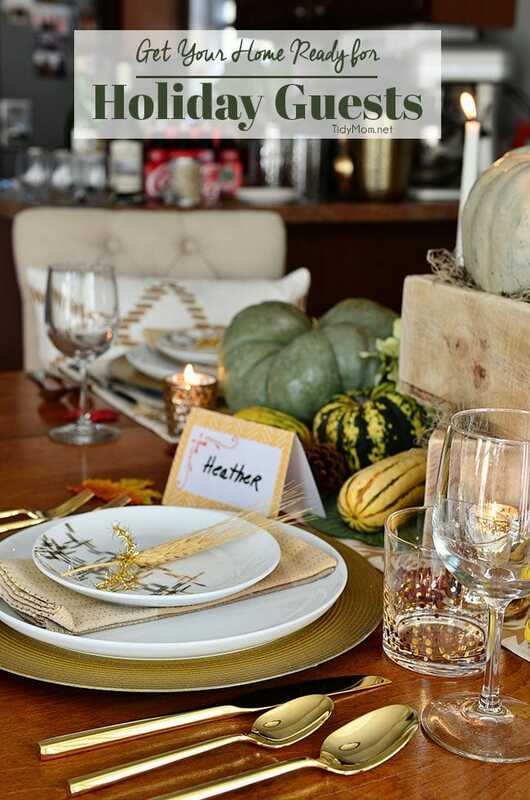 Guests and the holiday season go together. It’s part of the fun and excitement of the time of the year! When opening our homes to loved ones and friends, we want to make our guests feel welcome and comfortable. Fortunately, my friends Scotch-Brite Brand and I can help you do just that. More than likely you’ll be doing more cooking and baking this time of year, especially if you are entertaining. Start of on the right foot by giving the kitchen a good cleaning. My stainless steel sink gets the most use, and can really make the kitchen look clean if it’s gleaming!! I start off by using a stainless steel sink cleaner to clean off all the grime and debris that has built up. Then I pull out my secret weapon, a Scotch-Brite® Extreme Shine Pad to buff and make the sink shine! Seriously every time I use it, I’m amazed at how good my sink looks! If you’re oven is like mine, the glass on the inside of the oven door is usually covered in splatters. I got mine clean by laying wet towels on it for about 2 hours, then I scrubbed it with baking soda and sponge or cloth and a little elbow grease. Use the damp towels to wipe off the cleaner. Repeat until all the residue is gone. Add more water or even a little vinegar to your towels as needed while wiping, to really get the oven glass clean and shiny. 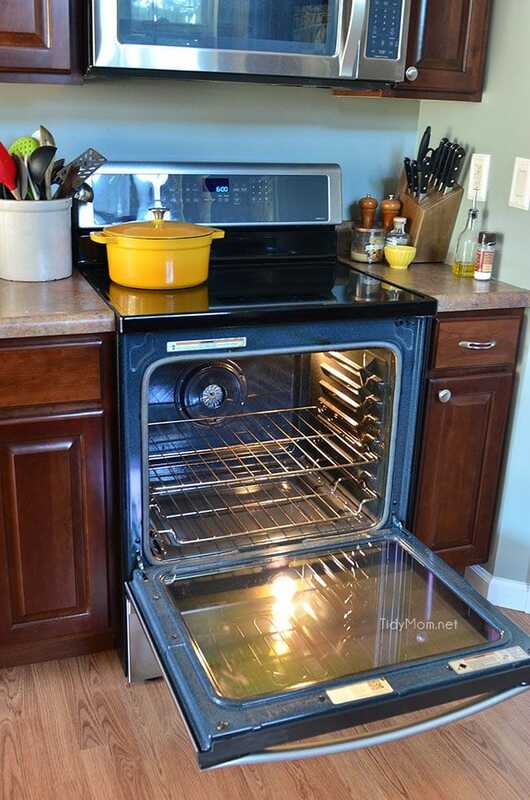 Give all the appliances a good wipe down, inside and out. 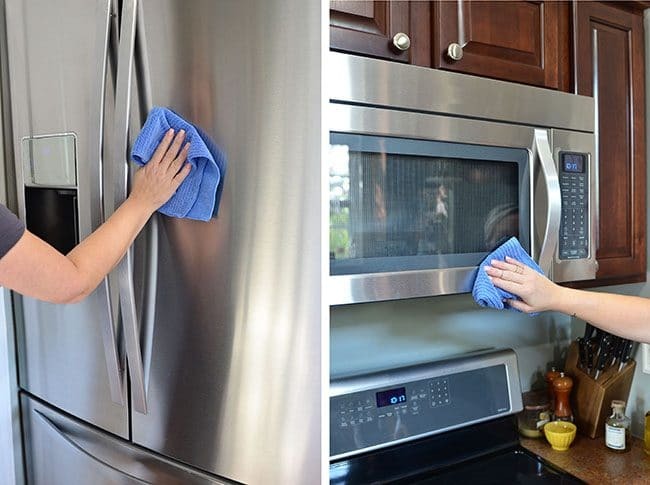 I like to spray a Scotch-Brite 3-in-1 Microfiber Cloth with stainless steel cleaner, then wipe over the appliance with the grain of the steel. Now is a good time to clean out all the old food in the refrigerator and freezer to make room for all the extra holiday food. Guests will inevitably want to use your bathroom. Start by using the Scotch-Brite Disposable Toilet Scrubber to give the toilet a thorough scrubbing. Vacuum or sweep the floor to remove stray hairs, then mop. Then, if you stick with my 5 minutes a day rule, your bathroom will always look guest-ready in between regular cleanings. 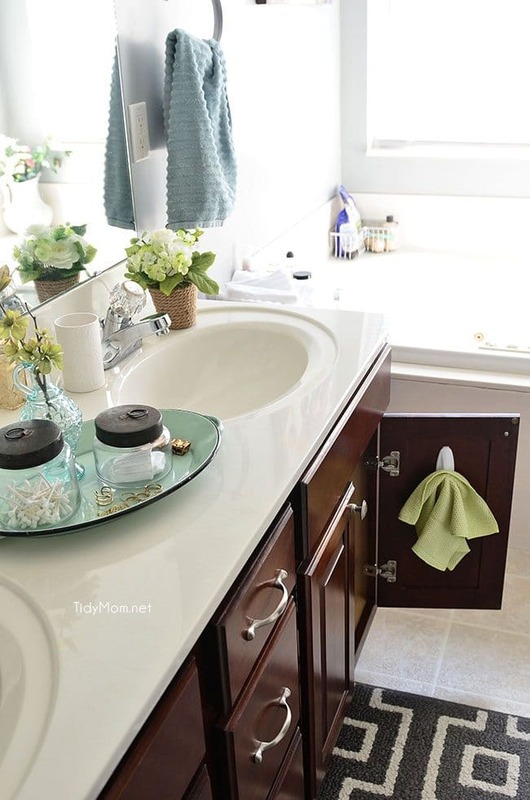 Keep a microfiber cloth under the sink to quickly wipe off the mirror and faucet, grab some paper towels and a bottle of glass cleaner to wipe down the toilet and sink area to remove toothpaste splatters, residue, and other gross buildup. Straighten bath towels, pick any dirty clothes up off the floor, and make sure you’ve got clean hand towels for your guests to use. People often forget to dust, which is understandable because dusting can be a pain. I love using the Scotch-Brite 3-in-1 Microfiber Cloth because it actually picks up the dust and can be used wet or dry, even on my glass shelves. Remember to dust from the top down. When you’re done dusting, run the vacuum. If you have pets that shed, you probably know how embarrassing it can be to have a guest sit down on your sofa. 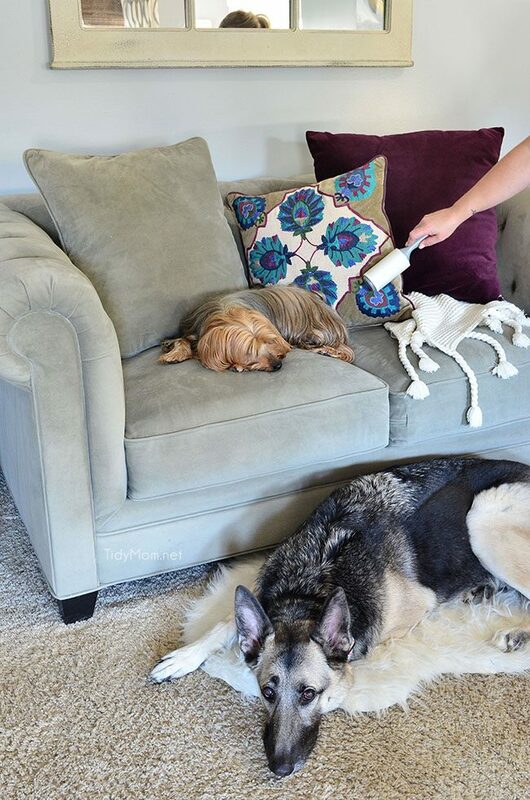 If you don’t have time to vacuum the furniture, a Scotch-Brite lint roller can be your new best friend!! 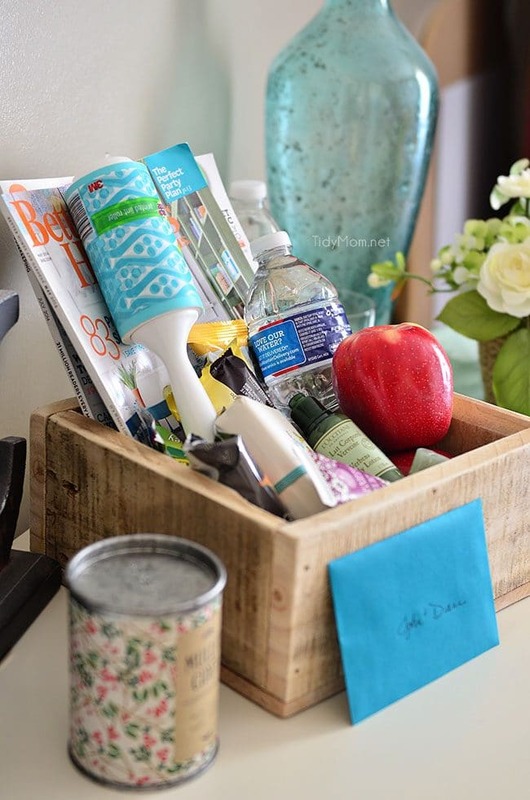 I like to have a little basket for overnight house guests, that they can use during their visit, or take home. Place nightlights in hallways and bathrooms – to keep your guests from bumping into furniture and décor in the middle of the night. Provide a note with your wifi network and password for guests to use. Make sure there is easy access to an outlet so they can charge their phone and/or other devices. Provide a lamp or soft lighting in the room. It’s all the small subtle details that your guests will be wowed. When I follow these tips, my home looks and feels inviting, my guests feel comfortable and all of that makes me feel good and relaxed. When I’m less stressed, I’m much more enjoyable to be around ? It’s funny how that all works doesn’t it? Disclosure: I have a working relationship with Scotch-Brite Brand, but as always, all views, opinions……and my love of a clean home are all my own. Thank you for supporting the brands that support TidyMom. I especially like the tips for guests rooms since I frequently have guests. I use lint rollers to clean my couch too. I love all these tips as we moved into our house a few months ago and still settling in. These tips are great for really making our house a home! That is one beautiful home!! Awesome tips, too, and thank you for sharing as I will be swamped with guests just about every other week from now and until January 20th! Eeek! Wow, I love all these tips. We are hosting this weekend. I, too, love so many of the cleaning items you wrote about, Cheryl. Really makes cleaning and getting ready for company much easier! Happy Thanksgiving! My mom-in-law is visiting from Australia and I set up the guest bedroom for her with a few essentials: Lavender-scented lotion, a bottle of my fav antioxidant facial serum, Ferrero Roches (nothing but the best for my MIL). A fresh bed, storage for her clothes and slippers. I want her to feel as comfortable and at home with us as possible. Wish I’d seen your post earlier. I love all the goodies you’ve got for your guests. These are great tips. With that goodie basket, I want to come stay at YOUR house! Thanks for these great tips! I’ll definitely have to use these for the upcoming holidays! Hey girl! The holiday season can always be so taxing. With the added stress of family, cleaning can be a trial. These tips are much appreciated and should help with easing this task. Thanks. Your tips are actually amazing. I love the way you mention steps to organize things.